E-6 ($5.00) 8 1/2 x 11 inches. 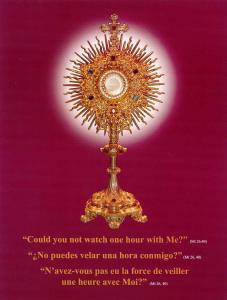 Breathtaking Gold Monstrance with Host/Burgundy background. Three languages in one!